Brian Jackson was a founder of Jackson & Carter after 20 years as a partner at Davis Fuller Jackson & Keene f//k/a Davis & Davis. Brian represents physicians, hospitals, nurses and other healthcare providers in medical malpractice cases, proceedings initiated by their respective licensing Boards, and governance/operational issues. He serves as General Counsel for the Texas Hospital Insurance Exchange and the Texas Alliance for Patient Access and has testified before the Texas Legislature on multiple occasions as an expert resource witness concerning healthcare issues. Brian’s law practice is truly statewide in that he has represented clients in more than 100 Texas counties. He is most well-known for representing Nocona General Hospital in 19 separate lawsuits that were filed after a nurse allegedly murdered 22 patients in the Hospital over a six- week period. In addition to his busy trial schedule, Brian is a frequent speaker at lectures and seminars on legal issues facing healthcare providers. The State Bar of Texas has honored Brian seven times by selecting him as a speaker at its Advanced Medical Malpractice Conference. The Texas Hospital Association, Texas Hospital Insurance Exchange, the Texas Healthcare Trustees, and the American Tort Reform Association have each selected Brian as a featured speaker at their annual conference. 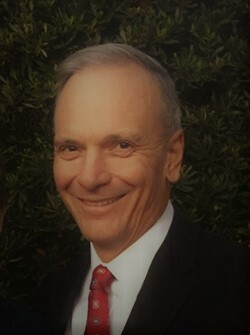 Brian graduated with an English Degree from Abilene Christian University in 1987 and received his law degree from the University of Houston in 1990. He serves on the boards of several non-profit groups, including Brentwood Christian School and Helping Autism through Learning and Outreach. He lives in Austin with his wife Kristi and three children.